Richard has worked in higher education marketing and student recruitment for 14 years, holding a number of positions at the University of Chester. After studying English at Lancaster University, Richard embarked on career in media publishing. Working with a number of universities in this role led to an interest in higher education marketing. A Master’s degree in Marketing at Liverpool John Moores University sparked academic and professional interests in services marketing, relationship marketing, brand communications, content and digital marketing. As Deputy Director and then Director, Richard has led the department through significant periods of change and has developed an award-winning and multi-faceted team that includes admissions, outreach, research, content, web, design, digital marketing, events and recruitment elements. 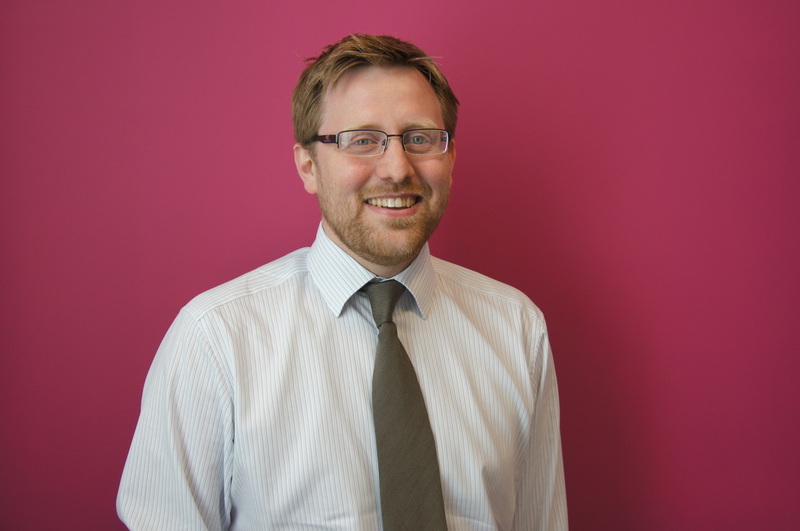 Justin Cole joined Sheffield Hallam University as the Director of Marketing in December 2013. An energetic and motivating leader, Justin has extensive experience in managing multidisciplinary communications teams. Before joining Sheffield Hallam, Justin served as a ministerial communications adviser in a range of government departments working chiefly on higher education policy. In this role he led the Government campaign to explain tuition fee reforms - probably the toughest marketing challenge in Whitehall. Justin's master's thesis explored the application of Grunig and Hunt's four models of communication to the conveyance of Government policy on higher education. Other roles in central government saw Justin develop the communications strategy to encourage more young people to take up Science, Technology, Engineering and Math (STEM) subjects, before then leading the communications for the £3.2 billion Regional Growth Fund. Mark has spent over 29 years in Marketing, CRM and Business Development in a variety of high profile private and public sector organisations worldwide. In his early years he was Marketing Director for Principality Building Society in Wales and Head of Customer Management for Royal & Sun Alliance (and responsible for leading Customer Management for the launch of MORETH>N), before running his own CRM consultancy, helping over 30 companies worldwide to develop effective customer management practices and training programmes. He was instrumental in setting up Confused.com, before taking up a senior interim management career with organisations such as Open University, Royal Bank of Scotland Plc, Yell Group Plc, British Airways and Barnardos. Latterly he has been Director of Marketing, Communications and Student Recruitment for City University London and the University of West London, where he was responsible for developing and leading the marketing, communications and UK/International recruitment strategies for both institutions. Since December 2013 he has been Director of External Affairs for the University of Bradford. Andy co-founded FindAUniversity in 2001 which has led the way in online postgraduate student recruitment ever since. Currently FindAMasters.com and FindAPhD.com are used by over 900 universities from 60 countries, providing a comprehensive source of global study opportunities. Andy's focus is on attracting more overseas universities and he has been a regular on the Heist Awards judging panel over the years. After graduating from The University of Nottingham, Jo joined the advertising department of The Independent & Independent on Sunday eventually taking over as Advertising Director. Having built a specialism & interest in Education, Jo took the role of Commercial Director of UCAS in 2009 where she was responsible for the running of UCAS Media – the trading division of UCAS. Jo joined The Student Room Group in November 2013 as Commercial Director before moving to Educate in 2015 as Managing Director. Jo is also a 'student guru' for the Institute of Directors student membership. As a member of the University’s Corporate Management Team, Deborah is responsible for providing strategic leadership and direction in marketing and communications. She heads up a centralised team of 88 staff across a range of disciplines including student marketing, B2B, alumni relations and development, PR, digital and corporate events amongst others. Deborah recently led a major brand repositioning exercise, as well as one of the biggest communications programmes in the university’s recent history, in the preparation for the university’s name change to Leeds Beckett in September 2014. She has also revolutionised the university’s approach to its digital marketing, with the first phase being a new website which was launched in September 2014. In addition, Deborah developed and launched the university’s first major integrated campaign as Leeds Beckett, which included a range of innovative digital outputs in addition to a television advert. Deborah came to the university from Marketing Leeds, where she was Chief Executive and responsible for the city’s strategic destination marketing and promoting Leeds as a world-class destination for business, leisure and education. She joined Leeds Metropolitan University (now Leeds Beckett University) in 2011. A results driven professional with a passion for strategy, design and creative solutions. I relish the opportunity to discuss a problem (often delivered to me as a ‘brief’) and provide a considered solution. My belief is that all businesses should run as happy organisations that pay attention to the team, the client, the end user and the wider economic marketplace. With my keen eye for efficiency I always aim to deliver the best solution in the most time effective manner, this doesn’t mean rush the job, just be sure than any of the fat is trimmed during the process! I have been with Revolution Viewing Ltd since February 2006, acting as Managing Director since February 2009 and working from our Leeds HQ. Revolution Viewing is a Creative Digital Agency. We provide stunning video production solutions and exciting web content for universities, home builders and world-leading brands. Our mission is to Create Desire with your target audience. Terry Hudghton is Head of University Marketing for The University of Manchester, an internationally renowned, research-intensive institution with a long record of ground-breaking achievements and a proud egalitarian history, and where social responsibility is one of three core goals. The University of Manchester receives more undergraduate applications than any other university in the UK. In his current role Terry is responsible for upholding and enhancing corporate reputation and the co-ordination of marketing activity across the University. Previously Terry worked for the Science Museum Group, which attracts over 5 million visits a year, with a range of responsibilities spanning customer service, marketing and commercial interests. Much of Terry's career prior to this was spent working for The Co-operative Group, a multi-billion pound retailer based on a democratically led business model, with interests in food, travel, funerals and financial services. Here Terry led on many ethical initiatives including creating and pioneering The Co-operative's Fairtrade work, which is recognised as a main contributor to the mainstreaming of Fairtrade in the UK. 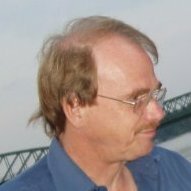 Over the last 20 years Donald has held a variety of roles in the fields of customer service and marketing and communications. Starting at the Benefits Agency in West London and then moving on to the University of Hertfordshire, where he was initially the University’s only Marketing Officer. In his current role he has responsibility for the development and delivery of the University’s UK and international student recruitment, b2b marketing, communications and alumni and fundraising. Donald is an early adopter of technology that has been deployed to deliver high impact and award winning marketing and communications campaigns. In 2006, Chris acquired majority ownership of the websites and company that organically, and through further acquisitions, have evolved into The Student Room Group - now the UK's largest student community reaching over 75% of UK 14-24 year old students each year, and over 90% of UK university applicants. Chris is the majority shareholder, Chairman and CEO. Chris is also a Mentor for the Emerge Education edtech accelerator, investor and adviser in EZ Education - the makers of the Doodlemaths app, and is a Sixth Form College Governor at BHASVIC - one of the best performing sixth form colleges in the country. Chris was Statutory Board Director of Jobsite as they grew rapidly & profitably, eventually selling 50% to Manpower Inc in 2000 and later 100% to the Daily Mail and General Trust in 2004. His career roles include Marketing Director, Operations Director, CEO, Chairman & Non Executive Director positions largely within the general recruitment, student recruitment and education technology sectors​. Andrew provides leadership of the Customer Experience and Marketing business unit and of UCAS Media Ltd. His responsibilities include setting UCAS' strategy for engagement and relationship management with higher education providers, commercial clients, applicants, schools, and parents. Andrew joined UCAS in April 2013 as Head of Organisation Development before becoming Director of Customer Experience and Marketing in September 2013. Prior to joining UCAS Andrew was Managing Director of a London based management consultancy specialising in business change and transformation. Andrew has enjoyed a varied career in sales, marketing, human resources, digital development, and organisation development. Andrew has a degree in psychology and an EMBA from the University of California at Los Angeles (UCLA). Anna started her career in business relations and event marketing for creative membership organisations such as D&AD and the DBA. She has since worked in the charity and engineering sectors, and more recently for a number of universities and an international education specialist, focusing on UK and international student recruitment. As Head of Marketing and Communications at Leeds College of Music, Anna has implemented the conservatoire’s rebrand, moving focus to digital channels and content, and has introduced a robust international recruitment strategy that has seen applications and enrolments double. Supported by an excellent team, Anna is responsible for UK and international student recruitment, alumni relations and corporate communications as well as the conservatoire’s website, social media channels, business relations initiatives and brand. She is a Member of the Chartered Institute of Marketing. 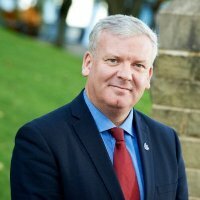 Paul Starkey is Director of Student Recruitment and Admissions at the University of Bolton and has responsibility for undergraduate and postgraduate recruitment and admissions from the UK, EU and internationally. Paul’s experience in higher education began in 2003 when he joined The University of Manchester from the International Air Transport Association where he stayed for seven years. ​Paul was a lead member of the team that delivered the rebrand and communications project for the 2004 merger of the University with UMIST. 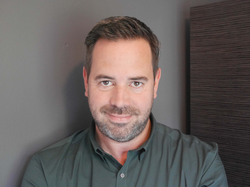 He later joined Heist as Research Director and then Havas People as Director of Strategic Planning and Insight working with universities and commercial clients. Paul was a founding member of the Chartered Institute of Marketing’s Higher Education Sector Interest Group. Jim created the Future Index© trends consultancy in 2013 to absorb and share the very best global marketing trends, helping clients to develop and shape their own successful strategies. Specialising in working with universities and business schools, Jim has taken the Future Index© to over 25 European institutions through presentations and workshops, as well as via strategic and creative consultancy. 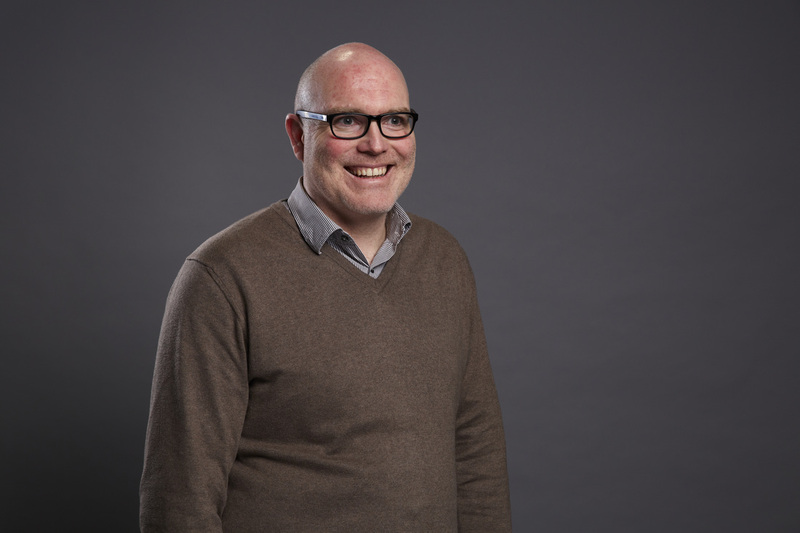 A hands-on practitioner with over 20 years experience, Jim has helped develop everything from university visions and plans through to student-led communications platforms; from award winning social media campaigns to alumni engagement initiatives. He has delivered keynote presentations at CASE, CIM HE, UCAS and numerous other conferences in Europe and is passionate about the future of Higher Education and looking forward to the challenges and opportunities we’re facing. Into her third year as Director of Marketing, Communication & Engagement at the University of Reading, Gemmaine joined the HE sector with over 12 years’ experience in leading Whitehall comms teams such as the Home Office and Department for Education. Gemmaine has advised Secretaries of States and managed press teams through national news stories and major policy and Royal announcements. Work started at UoR with a hefty brief of building a marketing team, driving student recruitment and repositioning the University – the result of which contributed to a 21% increase in UG recruitment in 2015, ten times the national average. Now leading a 100-strong integrated team across marketing, global recruitment, corporate comms and digital engagement, last year Gemmaine and her team took home a number of industry awards for campaign and brand strategy and most importantly, The HEIST gold award for best student recruitment campaign. Sales & Marketing team at Havas People. During his time at Havas, Simon has worked on prospectus distribution, a variety of student recruitment campaigns as well as hard-hitting public and private sector staff recruitment campaigns. Live events have always been a passion for Simon and he has organised the UPA / UHR conferences, the West London Mental Health Awards, TFL’s HR Services Awards and many other training and conference events as well as taking responsibility for the running of the Heist Awards. ​Simon is also a Non Exec Director of The Recruitment Society and manages their LinkedIn Group and has featured on BBC Radio 1, 5 Live, Radio Merseyside and Demon FM talking about social media and recruitment. Rupert is CEO at Havas People, the talent communications experts within the Havas Worldwide network. With offices in the UK, US, Australia, Dubai and Hong Kong, Havas People connect brands with talent through brilliant communication. Leading the business since 2005, Rupert has evolved the agency from a recruitment advertising agency into a fully integrated consultancy. He has worked with brands such as Reckitt Benckiser, Direct Line Group and Ford as well as numerous universities in the UK and abroad. He is an evangelist for creativity, embracing technology and doing things differently. In 2008, he launched the now market-leading recruitment software platform Engage ATS. His agency was named "Agency of the Year" at the CIPD Awards in 2012. Rupert is a History graduate from Newcastle University, a Chartered Accountant and fellow of the Royal Society for the Encouragement of Arts (RSA). He chaired the employer marketing RAD Awards in 2012 and has hosted the Heist Awards for excellence in education marketing for the last ten years. Peter worked for five UK universities (Sheffield Hallam, Plymouth, Loughborough, Southampton and Bath) mainly in externally-facing roles before a stint as Director of Marketing & Communications at the University of Portsmouth from 2008 - 2015. Peter has contributed substantially to his profession both nationally and internationally; uniquely he has led professional groups in the UK, Europe and the Commonwealth. Peter was the founding chair of the steering committee of the Association of Commonwealth Universities' PR, Marketing and Communications Network, is a past President of the European Universities Public Relations and Information Officers (EUPRIO) and was the founding chair of the Higher Education External Relations Association (HEERA). Also a past member of the Executive of the Association of University Administrators, currently Peter is a member of CIPR's Education and Skills Group. He has given numerous presentations in the UK and Europe, and also in Barbados, Australia, South Africa, Canada and Japan, and has had a number of articles published in the professional media.